Moving into a retirement living complex is a new beginning ; a chance to make some fun new changes. Furniture that once served a great purpose for a larger family may not be so practical now, and sometimes the spacial features of the new abode do not marry well with the existing furniture. These are a few of the reasons why our client came to us, seeking custom made furniture that would fit beautifully into their new home. 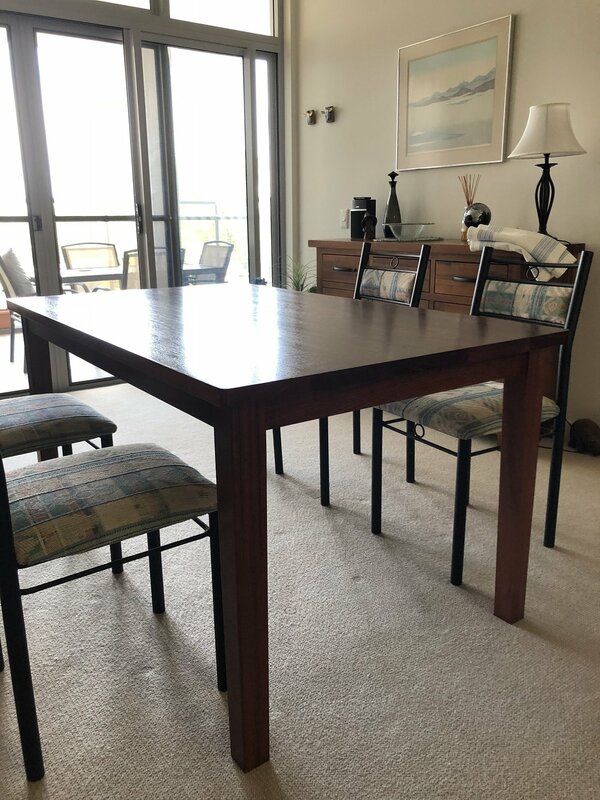 We designed and made the new dining furniture to blend seamlessly with existing furniture, to have the correct proportions so that it wouldnt overtake or be too large to manoeuvre around . 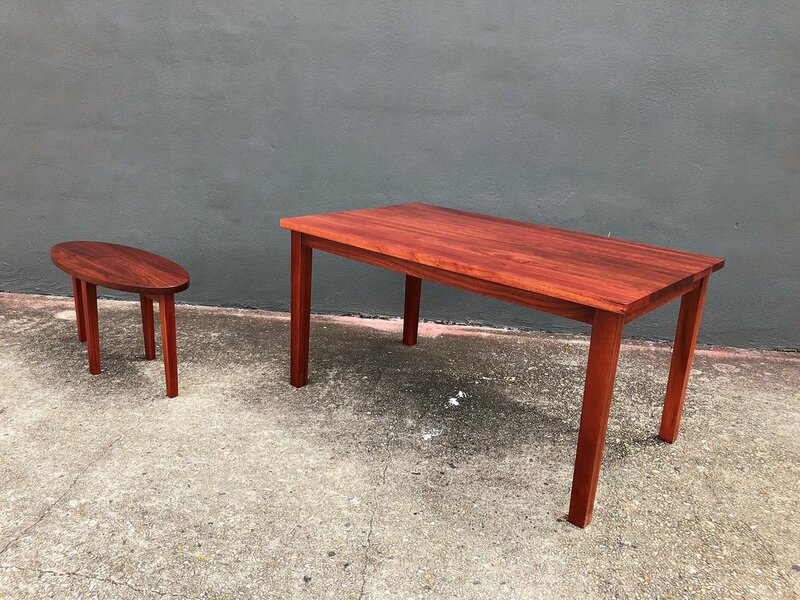 The richness of Jarrah was an ideal choice for the clean classic lines of this dining room furniture. The end result, very happy clients who are thrilled with their new way of life and their new furniture.